The Australian World Orchestra’s Chamber 8 – eight of Australia’s finest musicians on the international stage – will tour the country in July. 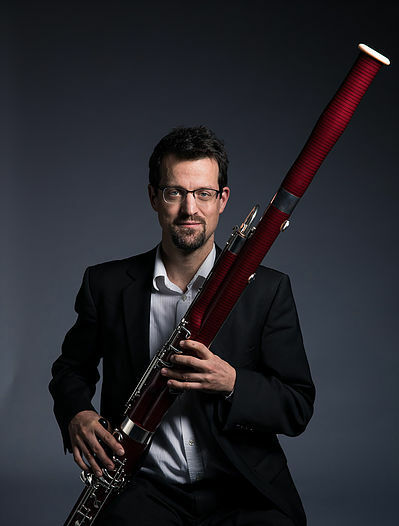 Bassoonist Lyndon Watts is the fourth of the eight to answer Limelight‘s Eight for Chamber 8. 1. What is your favourite piece of chamber music and why? Dancing in the Dark as performed by Cannonball Adderley on the jazz album Somethin’ Else. The best jazz groups and rock bands are comprised of highly skilled chamber musicians. The whole ensemble often performs by memory and the artists are constantly composing, arranging and recording new songs and albums. This particular album with Miles Davis is one of the finest examples of chamber music I have ever heard, demonstrating an excellent rapport between the musicians. My favourite pieces of chamber music are the rarities mentioned in the next question. 2. Three little-known chamber works that deserve to be heard more often? 3. Three of the most inspiring conductors you have ever played under? 4. What are the greatest pleasures to be had playing chamber music? Sharing music in an intimate setting and feeling the immediate reaction of the audience. Rising to the challenge and gaining confidence by performing with and getting to know players of the highest level. The exposed setting gives plenty of room for personal expression. 5. Three clichés about classical musicians that annoy you the most? They constantly complain about the conductor/the acoustic/their colleagues the programme. 6. A piece of chamber music you could happily never hear again? 7. What’s the most embarrassing thing that could (or has) happened to you playing chamber music? At a high school concert I dropped my bassoon off the edge of the stage after announcing a performance of the Divertissment for bassoon and strings by Jean Françaix. Somehow I managed to catch it just before it hit the ground. Fortunately nothing was damaged. Although my pulse was racing, I tried to appear as calm as possible. Needless to say, the performance was far from perfect. 8. The classical composer you would most like to play chamber music with and why? Antonio Vivaldi. He wrote many beautiful chamber works for the bassoon. I would love to know how much he improvised at concerts, how strong his musical temperament was, and to experience his exquisite ornamentation of the slow movements. And last but not least, I would like to know exactly what kind of bassoon his chamber music partners played on!